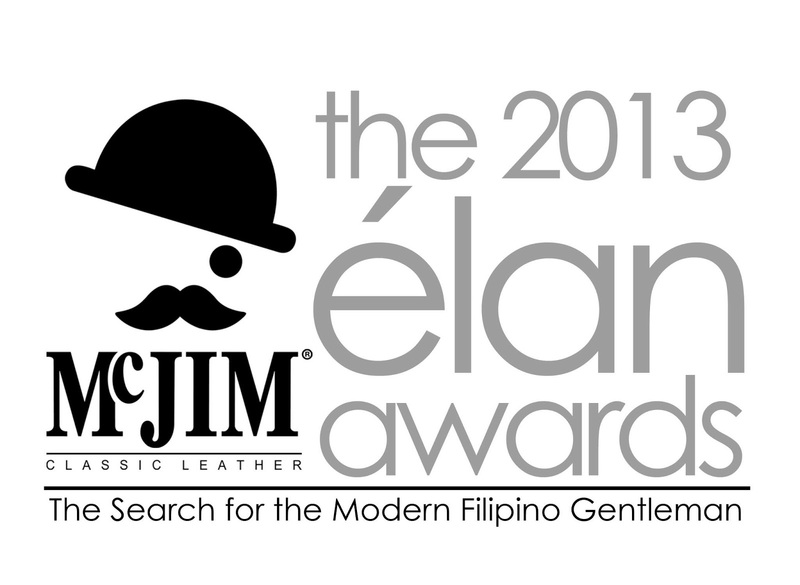 Home / 2013 Elan Awards / contest / fashion / Filipino / gentleman / McJIM Classic / McJIM Classic Leather / men / What's Your Epitome of Modern Filipino Gentleman? What's Your Epitome of Modern Filipino Gentleman? That is the question raised by McJIM Classic as they launch their search for the 2013 Elan Awards. To give recognition to Filipino men who are not only successful in their respective fields but are also inspirations for successful, stylish and elegant living in their dress, grooming, accomplishments, and etiquette, McJIM Classic Leather is inviting everyone to nominate their ideal modern Filipino in this year's recognition of successful, stylish and elegant gentleman. McJIM Classic Leather is awarding the best role models for style and elegance among today’s Filipino gentlemen - and Facebook users can now submit their nominees through the Mc JIM Classic Leather Official Facebook Fan Page. Through Elan Awards McJIM Classic Leather is hoping that they'll encourage more Filipino males to take up a lifestyle that incorporates a sense of style, gentlemanly manners and values, and a drive to succeed. Nominees will be chosen by the public in a Facebook popularity contest , which will take place at Mc JIM Classic Leather Official Facebook Fan Page. All Facebook users in the Philippines and overseas are eligible to participate in the nomination. Facebook users may nominate male individuals,may they be celebrities or non-celebrities as long as they meet the basic requirements: 1) Must have Filipino lineage; 2) Must be 25 to 35 years of age on the start of the search on May 1, 2013. Nominees will be judged base on these three criteria A) Elegance of Style (Display elegance in their manner of dress and taste; B) Manners and Etiquette (Have refinement in manners and etiquette); and C) Accomplishment (Have notable accomplishments in their fields). Facebook users may nominate different individuals for each criterion, or nominate one individual for two out of three, or all three criteria. These nominations must be posted on the the Mc JIM Classic Leather Official Facebook Fan Page. A panel of judges will choose the Top Ten Finalists from the computed number of nominees, and once the Top Ten Finalists are announced, the votation will begin on May 15, 2013 and will end by June 30, 2013. The Grand Winner of the 2013 Elan Awards will receive a prestigious designer trophy; P100,000 in cash; another P100,000 to be given to a charity of his choice; and one-year supply of McJIM products. While the nine finalists will receive plaques of appreciation and a six-month supply of McJIM products. Do you have that modern Filipino gentleman in mind? Then start nominating him or them of 2013 Elan Awards!